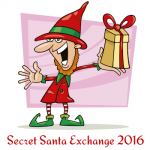 Who or what does a Secret Spy for Santa spy on? A secret spy for Santa keeps his eye on everything thinking day and night about Santa coming to where they are. They are looking for anything that might concern Santa when he flies. Look around. Ask questions. Notice stuff. Is the roof strong enough for Santa’s sleigh? Are there any mean dogs around that might not like reindeer? 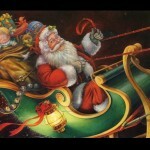 Is there someone locally who says they want to trap Santa? Are fences too high? What about trees? These are just the start of the questions that go through the mind of a Secret Spy for Santa. When you see something, tell the North Pole about it. That is the most important job of a Secret spy for Santa. Have a question, ask an elf! Can I tell my friends I am an elf?